BMW's motorsport division has unveiled the BMW M3 DTM Chamption Edition. 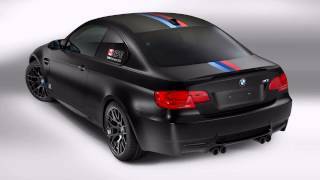 This special edition model is available exclusively in Frozen Black metallic, while the carbon flaps and gurney, various dark chrome elements, matt black wheels and sections of the race car’s livery also betray its close links with the triumphant BMW M3 DTM. 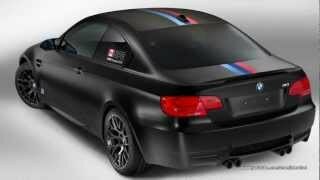 The theme is continued by the BMW M stripe design over the CFRP roof and boot lid, BMW M logo to the rear of the front wheel arches and decals in the rear side windows.